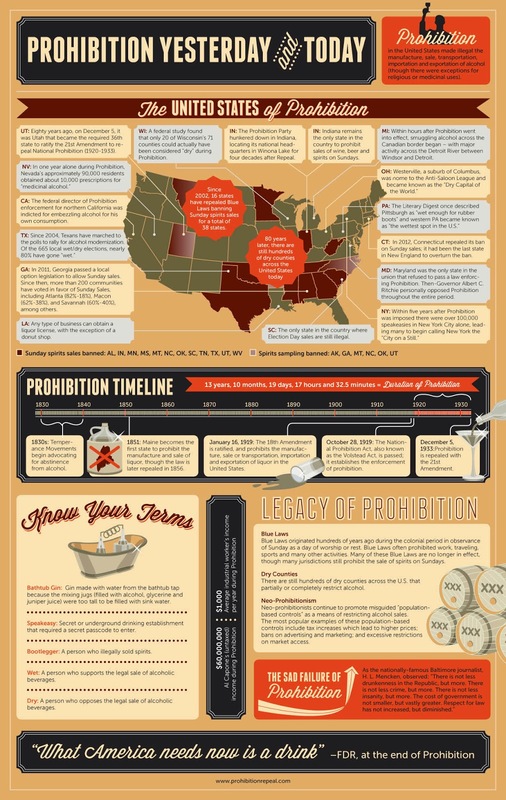 It has been 80 years since the repeal of prohibition. Several states, including Minnesota, still suffer from the fallout with archaic laws like 3.2 ABW beer, and the prohibition of liquor sales on Sunday. Minnesota doesn’t have it as bad as some in the bible belt, but we aren’t that far off. Check out the latest exhibit at the Minnesota History to see how prohibition didn’t decrease alcohol abuse but increased it, didn’t eliminate crime but created it, didn’t increase prosperity but robbed the treasury of taxes. Maybe someday soon Minnesota will get its act together and finish repealing prohibition. After all, if repealing prohibition makes sense 6 days a week, why doesn’t it make sense everyday?